When available, pdf- or PowerPoint files provided by the respective authors are linked below each abstract. A list of all available files can be found here. The Aten and the Apollos have a certain probability to collide with our Earth. With the aid of extensive numerical experiments it is possible to determine these probabilities rather good. For this task one uses precise integration codes to solve the equations of motion in a realistic dynamical model. This is quite different to the determination of the collision of a single body in the near future (e.g. the collision of the different pieces of the comet SL9) because for the statistical determination one has to use integrations up to millions of years. Impact is a unique, short-time, high-energy geological process. The importance of impact cratering on terrestrial planets is obvious from the abundance of craters on their surfaces. On Earth, active geological processes rapidly obliterate the cratering record. To date only about 170 impact structures have been recognized on the Earth’s surface. They come in various forms, shapes and sizes, from 300 km to less than 100 m in diameter, from Recent to 2 billion years in age. Mineralogical, petrographic, and geochemical criteria are used to identify the impact origin of such structures or related ejecta layers. The two most important criteria are the presence of shock metamorphic effects in mineral and rock inclusions in breccias and melt rocks, as well as the demonstration, by geochemical techniques, that these rocks contain a minor extraterrestrial component. In impact studies there is now a trend towards the use of interdisciplinary and multi-technique approaches to solve open questions. In this lecture we will take a look at impact craters on the Earth (and some other planets), and discuss how they formed and how they can be recognized. An important aspect of impact cratering is also the influence of impacts on the geological and biological evolution of our own planet, as shown most distinctly by the events that mark the Cretaceous-Tertiary boundary. We propose a new formal definition of discovery for a Solar System object. It is based on a rigorously objective and mathematically rigorous algorithm to assess when a set of observations is enough to constitute a discovery. When this definition is satisfied, in almost all cases the orbit is defined well enough to establish the nature of the object discovered (e.g., Main Belt vs. Near Earth asteroid, Transneptunian vs. long period comet). The frequency of occurrence of exceptions is estimated by a set of numerical experiemnts. The availability of a non-subjective definition of discovery allows to propose rules for the assignement of discovery credit with a minimum risk of dispute. Such rules should be fair, encourage good practice by the observers and acknowledge the contribution of the orbit computers providing the identifications and the orbits, as well as the one of all the contributing observers. The project "Photometric Survey for Asynchronous Binary Asteroids" is aimed to find and study binaries among asteroids with diameters <10 km from near-Earth to inner main belt orbits. Results of the previous survey for near-Earth binaries that run until 2004, recently published in Pravec et al. ("Photometric survey for binary near-Earth asteroids", Icarus, in press) will be outlined and new data obtained since the beginning of 2005 will be presented. The Survey's observational requirements will be outlined. Among them, the most critical are following: ability to measure asteroids fainter than V=15 with photometric errors not greater than 0.03 mag, long series or linked observations, ability to identify and correct or eliminate measurements affected by interferring stars as faint as 4-5 mag relative to the asteroid. Corresponding telescope and reduction system requirements will be discussed. Other asteroid photometric opportunities will be mentioned as well. On Dec 20, 2004 the Minor Planet Center issued the MPEC 2004-Y25 announcing the discovery of a new NEA with designation 2004 MN4. Only two days later, when the Christmas holidays were about to begin, it was already apparent that this asteroid would be notorious: our close-approach monitoring system, CLOMON2, was already showing a Virtual Impactor (VI) in 2029 reaching the level 2 in the Torino Scale... the first asteroid to reach that level since our monitoring system had been operational. However, this was just the beginning of what it was to come in the subsequent days. In this lecture I will provide the details on how the situation evolved, the way NEODyS' team handled it and the crazy Christmas holidays we had due to this unexpected guest. An observing program to search for cometary feature of the asteroids having Tisserand parameter respect to Jupiter (Tj) less than 3. Astronomers pay careful attention to the Near Earth Asteroids due to their importance roule in the Earth's neighbourhood; other asteroids do not get the same attention, and if they were not be observed for a longer time, they are considered as lost. To avoid this, we would like to propose an observational program called Follow Up Astrometric Program (FUAP). A rotation invariant method for matching digital images of the sky to a guide-star catalog is presented. The computational effort for the matching grows linear with the area of the image and quadratic with the star density. Further a simple method for detection of moving objects based on the underlying data structure is described. During the past century the Trojan asteroids were the topic of many studies of their orbital dynamics and stability. In recent years it has been possible to perform extensive numerical simulations of the motion of these asteroids and thus also to investigate the size and structure of the stability region around the Lagrangian points. The aim of this work is to find new numerical estimates of the size and shape of the stability region and two show how they change if the basic parameters of the system are changed. Additionally, the problem of the asymmetry between the two Trojan groups (there seem to be more asteroids in L4 than in L5) is investigated. We find both that there is a "critical" eccentricity of eINI~0.15 that plays an important role in the dynamics of Trojan asteroids and influences the structure of the stability regions and that the region of maximum stability is larger for L4 due to the influence of Saturn and thus the L4 group of Trojans seems to be more stable than the L5 group. We will present our work in the photometry group at Visnjan School of Astronomy 2005. From the light curve of an asteroid, many of its properties can be determinated, like its rotation period, shape and the constitution of the asteroid. Remotely using the telescope on Mallorca (OAM, MPC 620), we have measured five asteroids, for witch, using MPO Canopus, light curves were made and the rotation period was determinated. Our images, we send to Raoul Behrend (Geneve Observatroy) who also made light curves of the asteroids and published them on his web page. We have also done astrometry of eleven objects in Astrometrica and sent the data to MPC. On our images of (381) Myrrha, Raoul Behrend discovered a new variable star GSC 6321-798 (OAM 2), for which the light curve and type have been determinated using Iowa robotic telescope (Arizona, USA) and OAM. From the group of 4190 Mars-Crossing asteroids (MC) we extracted the sample of effective MC, indicating close approaches to Mars in the next 10'000 years. We estimated the chaotic properties of their motion and analysed possible causes of such behavior. Additionally, we obtained the detailed statistics of close approaches to planets of MC. We also analysed the presence of mean motion and secular resonances in their motion. The number of asteroids potentially hazardous to Mars is relatively low (about 2% of known MC population). Most of them have been discovered over the last few years and in the close future we expect the application of new observational results. At present, we known some meteorite fall events with more or less precise orbits (namely Pribram, Lost City, Innisfree, Peekskill, Tagish Lake, Moravka and Neuschwanstein). Every week, a handful of new NEAs is discovered by automatic surveys. Could some of these NEAs be the sources of the meteorites? 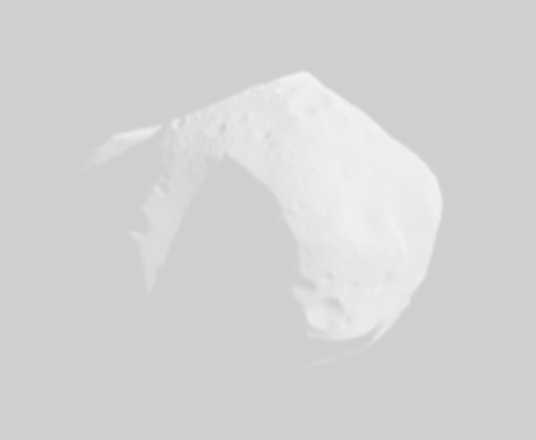 A near-real-time website with the calculation of different D-criteria (Southworth and Hawkins, Jopek, Drummond) for the meteorite falls, based on the daily NEA.DAT file of the Minor Planet Center, will be introduced. The apparent motion of near-Earth asteroids is typically in the range, 3-60 arcsec/min. For many amateur observers, such fast-moving objects quickly track across the field of view of their CCD camera and the telescope has to be repointed so as to keep following the moving target. Although not a problem with astrometry, for precision lightcurve photometry the ever-changing set of field stars is a real issue since it is not usually possible to accurately determine the zeropoint of individual image frames, the reason being the lack of accurate (+/-0.02 mag or better) magnitude data for stars in the brightness range 11 < V < 14. An observing methodology has been developed whereby the asteroid is imaged using an unfiltered 0.28-m aperture Schmidt-Cass telescope having a field of view of 11'x8' whilst simultaneous V- and I-band images are obtained of a wider 1.0x1.5 degree field using two 0.06-m refractors equipped with CCD cameras. Calibration of the wide field is made relative to Hipparcos stars. Results are described for 2005 WC1 and for 2000 BD19, which holds the record for the lowest perihelion distance of objects having well-defined orbits. Some examples of Main-Belt asteroid photometry are also presented. Two monographs on observations of comets and minor planets by Austrian amateur astronomers are presented. Copies of the monographs will be available at the meeting for those interested. An ongoing programme of near simultaneous astrometry of newly discovered NEOs between observatories in different continents is described. Distances can be determined to within a fraction of a percent within hours of discovery. From the early days of astrophotography in the 1850s until the 1990s most images of the sky were recorded on photographic plates. These plates are our only record of how the position and brightness of objects changes on long time scales and thus they present an extremely valuable pool of information. The world's astronomical archives contain more than 2 million plates, most of which are not available in digitized form. Many are mothballed in inaccessible storage sites and those who are accessible are rarely used by scientists because it is rather unhandy, time-consuming and expensive to travel around the world to access them. Additionally, the condition of the plates gets worse with time. On some of them the photographic emulsion started to crumble off the glass. Therefore it is necessary to digitize them as soon as possible to secure as much information as has remained, before it fades further. One of these archives of photographic plates contains the material recorded in the course of the Palomar-Leiden Survey of Faint Minor Planets and the three Palomar-Leiden Trojan Surveys. These surveys, carried out by C. J. van Houten, I. van Houten-Groeneveld, and T. Gehrels at the 48" Palomar Observatory Oschin Schmidt Telescope in 1960 (P-L Survey), 1971 (T-1), 1973 (T-2) and 1977 (T-3), were done in a major effort to hunt for new minor planets. The archive consists of a total of 300+ plates, each one covering a field of over 40 square degrees with a typical limiting magnitude of mV~20 for objects moving at the guided speed. In a project carried out by the Astronomisches Rechen-Institut (ARI), Heidelberg (L. D. Schmadel, PI) in collaboration with the Institut für Erdmessung (IfE), Hannover, this archive was digitized and processed into a digital image archive which can be effectively mined by software. Access will be made in due time to anyone via Internet. The traditional m1 and m2 concepts about cometary magnitudes, has been recently put into discussion. This happens while CCDs technology has provided to amateur astronomers a powerful tool for scientific researches on this matter. Which are the greater threats (and benefits) of amateur's cometary digital photometry? Which are the possible compromises? Is the "magnitude" concept still useful when dealing with comet's physical studies? Is there any other approach we can follow to analyze the physical properties of cometary comae? The author will review the outcomes of a pro-am collaboration established several years ago about cometary photometry and related phenomena. The population of small Near Earth Objects with absolute magnitude up to H<28 is still not very well understood. These objects with several tens of meters in diameter are transition objects between asteroids, comets and meteoroids. Our goal is to focus on modelling of geometric conditions for small close approaching NEAs to the Earth for proposed wide field survey system. Numeric integration (11 milion NEA orbits) reveals geometrical conditions during close approaches. On March 3, 2002, the asteroid (15) Eunomia had an exceptionally close approach with (50278) 2000CZ12, at a nominal distance of only 55'200 km, allowing a new determination of the mass of Eunomia with a remarkably low formal error (1.70 +/- 0.08 x 10-11 Msun). The computed from observations orbital elements of asteroids contain errors. In accordance with the procedure depicted by Sitarski (Sitarski, 1998) we can find randomly selected sets of orbital elements which well represent all observations with the fixed mean rms residual. In this way we can get the error ellipse of the initial orbital elements and that of the predicted ones (Kristensen, 1992). By integrating equations of motion of these computed clones we can obtain time-evolution of changes of the shape of the torus, inside which all the orbits of the clones exist. Time evolution of the configuration of the torus and of its size are connected with the position of asteroid inside this torus. The bigger size of the torus the more difficult it is to find the position of the asteroid. The shape of the torus and its time-evolution depend mainly on the kind of the asteroid's orbit. If the orbit is more chaotic then changes of the shape of the torus are more rapid and the size of the torus is greater. Close approaches of asteroids to planets are the main source of the chaotic motion. This is particulary important in computing their close approaches to the Earth. The distances between the minor planet on the nominal orbit and the virtual minor planets around the nominal orbit can attain considerable values. In this work we computed the time-span until the values of the mean distances of the clones achieved the dimensions of the Earth's radius. In this respect we investigated the motion of known earlier asteroids: (433) Eros and (1943) Anteros and the recently discovered minor planets: (99942) Apophis (2004 MN4) and 2004 VD17 - the most dangerous for the Earth, according to the Impact Risk Page of NASA. During this workshop, the general way for obtaining quality photometry for asteroids and variable stars will be described. Classical and less common pitfalls will be shown, from the acquisition of images to the final lightcurve. More than how to use black box software, we will try to understand what should be done and how it can be achieved. If darks, biases, flats, filters, aperture- and psf-photometry, catalogs made you anxious, or if you are seeking to do very useful observations, this workshop is your best chance to tame photometry. We will demonstrate some custom capabilities we have developed, in an effort to achieve total automation in all fuctions of an amateur observatory. Using a microprocessor such as the PSOC, our automation team is developing hardware and software to get full automation control and integrating these functionalities with the ASCOM plataform and the programs ACP, Maxim, and FocusMax. 2) Using the TAO software (developed by Paulo Holvorcem - 1999-2006) to schedule observations of minor planet and comet targets. The TAO software (Tools for Automated Observing) is a powerful tool designed to optimize the use of available telescope time, scheduling observations of moving and fixed objects during a night's observing run. The workshop will focus on scheduling comets and minor planet targets. 2b) Tools for creating and maintaining updated target databases The moving object database may be kept up-to-date by periodically running a script which automatically downloads ephemeris for unusual minor planets (including NEOs, TNOs, etc.) and comets which are currently observable. This script downloads updated ephemeris whenever an object's orbit is updated by the Minor Planet Center (MPC), and automatically adds newly discovered unusual minor planets and comets to the moving object database. It can also be used for adding any minor planet or comet of interest to the moving object database. Another script is available for automatic monitoring of the NEO Confirmation Page (NEOCP), including ephemeris download and automated analysis of the ephemeris uncertainty information provided on the NEOCP. This script makes it possible to quickly schedule a mosaic of CCD fields which covers the uncertainty region of a given NEOCP object. Ephemerides for new objects for which only the discovery astrometry is available may also be easily added to the moving object database with the help of another script. A program is provided for generating filtered summary tables of targets which are observable on a given night, including parameters such as magnitude, elongation, motion rate, galactic latitude, moon distance, etc. These tables are helpful in the process of selecting targets of interest to be submitted to the scheduler. 2c) Image acquisition script: In its standard form, this script may be executed under the ACP software (scripts for other plataforms can also be customized by the author), and will automate dusk-to-dawn observatory operations without user intervention. The use of the Internet to allow astronomical observations to be made at remote sites is a rapidly growing field. In this workshop I will be demonstrating how different commercial vendor's systems work and describing my experiences with them. The systems demonstrated may include RAS (New Mexico), Faulkes (Hawaii), Slooh (Canary Isles), Bradford (Canary Isles) and Red Mountain (simulated observatory). Due to weather conditions it may only be possible to simulate the use of the RAS and Faulkes facilities. Sample images will be available. Due to time zone constraints only observation requests can be made with the Slooh and Bradford facilities. It will not be possible to return images from these facilities. Sample images will be available. Red Mountain is a simulated observatory. The images returned are generated using scatter-plots based on data from a star catalogue. The primary purpose of Red Mountain is a technology demonstrator. The package includes two main programs: Solex (v. 9.0) and ExOrb (v. 6.2, formerly named Findorb), running under Windows operating systems. The core of both programs is a numerical integration engine which simultaneously handles the minor bodies, the major planets and the Moon. For all the planets within a century from the present epoch, the ephemeris output of Solex matches the DE405 ephemerides within a few milliarcsecs, but the output is also highly reliable up to epochs as far as 150 ky from present. ExOrb (Orbit determination from observations): Unweighted or weighted fitting. Handling of radar-ranging data. Dynamical determination of the mass of a body from perturbations acting on another body. Fitting of non-gravitational parameters (in the case of comets). MonteCarlo generation of virtual bodies matching the probability distribution of the orbital elements. Output directly exportable to Solex. Solex (Orbit propagator, Ephemeris generator and Planetarium): Tabular, graphic, or disk output. Star library up to m. 11.5. Output of coordinates, status vectors or orbital elements. Simultaneous handling of over 100k minor bodies. Automated search for close approaches and/or impacts. Automated search for angular approaches (conjunctions and occultations). Plot of the occultations’ paths with estimated uncertainties. Suitable for long-term (Myrs scale) dynamical investigations. The workshop will demonstrate the functionality of the software, starting from the handling of the original observations up to ephemeris generation and applications to the study of orbital dynamics, using one or more actual examples depending on the time available. A proposed example will be that of the remarkable and interesting Earth-resonant NEO 2004 GU9.